Elements Applied: Roots are the commonly applied elements in herbal medicine. Active Components: Astragalus is a potent remedy due to its highly effective constituents, like trace minerals, amino acids, triterpene glycosides, polysaccharides, and flavonoids. Some cancer sufferers have been reported to experience an increase in T-cell amount in the organism, when taking astragalus. History: According to Shen Nong, the father of Chinese medicine, astragalus is a highly effective herb, and its effectiveness is stated in his works. Huang qi, the Chinese name this plant carries, is interpreted as ‘yellow leader’, due to the yellow-colored plants roots, and their general potency to energize the organism. In conventional Chinese medicine the plant is used for excessive night perspiration, decreased appetite, weakness, and tiredness, as well as diarrhea. Used For: Applied to strengthen the immune system, decrease arterial tension, and boost urination. Astragalus is a potent herb for curing immune disorders, sore throat, Alzheimer’s disease, and a good aid in chemotherapy. Astragalus has gained great popularity in China due to its ability to stimulate the lungs immunity. It was generally applied to treat immune system disorders, accompanied with excessive perspiration. The plant is additionally applied for spleen disorders, low metabolic rates, edema, and organ prolapse. It is also applied as a blood supplement in case of severe blood loss or after labor. Additional Info: Astragalus is originally found in the northern regions of China and hilly areas of Sichuan and Yunnan. Before being applied in medicine, the root is gathered in spring period and then dried for a period from 4 years. There are over 2000 thousand astragalus species found around the globe, but the variant found is China is the one investigated on the chemical and pharmaceutical levels. Preparation and Intake: To make a decoction take the root extract and boil it in water, making a tea of it. This decoction is applied in a daily dose of 12 grams on average. Astragalus is commonly added to supplements in a quantity of 500 mg. If taken in capsules or pills, two-three of them are recommended as a daily dose, and if taken in form of a tincture, 3-5 ml is a common dose. 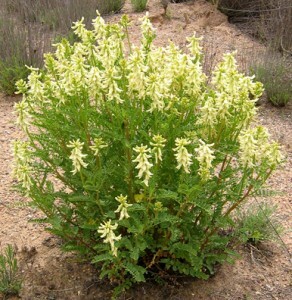 Safety: Astragalus is not recommended to apply in case of moisture imbalance accompanied with fever, or in case of blood congestion with painful symptoms.